Composer-film and stage producer William Perry (centre) with two leading scholars of the Peter Warlock Society, Robert Beckhard and Malcolm Rudland. 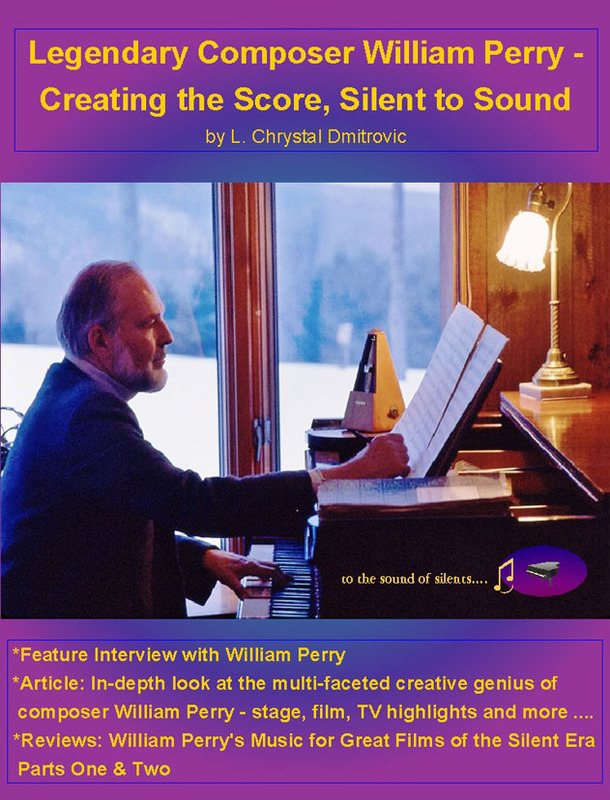 Composer William Perry for many years has been a driving force in seeing silent films re-emerge as small screen and special venue entertainment. His popular The Silent Years series (1971 and 1975) on PBS were hosted by Orson Welles and Lillian Gish. As a composer of film scores and creator and producer of stage musicals such as the long-running Mr. Mark Twain (and which should soon see a revival on a smaller scale), Perry has and will continue to compose internationally themed major works for orchestra and soloists.